The Old Civil Abattoir (Il-Biċċerija), located in one of the most dilapidated areas of Valletta, is set to receive a €7.5m makeover transforming it into an international design hub. Addressing the press outside the site this morning, Valletta 2018 Foundation Chairman Jason Micallef said the new Valletta Design Cluster would bring together students and design professionals and offer spaces for work and training, as well as encouraging the creation of new creative start-ups. The centre will also offer residencies for artists and design experts, allowing assistance and collaboration between Maltese creative enterprises providing an international dimension. 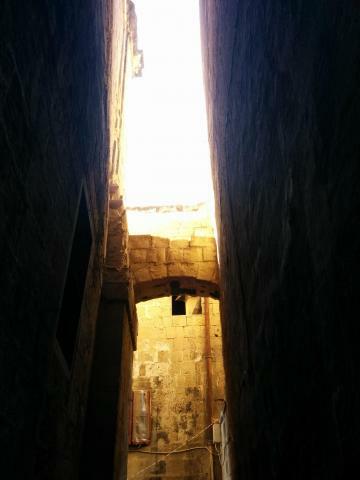 Works on the 17th-century building, located at the bottom of Old Mint Street behind the Auberge de Bavière, will begin in summer with cleaning and restoration of dangerous sections. The whole project is planned to be completed by 2018. Mr Micallef highlighted that works would be carried out with full respect to the residential fabric of the area. The team have held workshops with residents and visited homes to inform people further about the concept, which Mr Micallef said had been warmly welcomed. 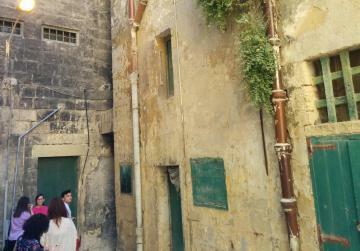 He stressed the centre’s role in spurring the socio-economic regeneration of Valletta’s neglected areas, tying the project in with similar efforts in Strait Street. The point, however, was undermined somewhat by one resident who took advantage of the gathered press to express his concerns about the state of the local roads in an expletive-laden rant, while Mr Micallef gamely attempted to push on with his address. Culture Minister Owen Bonnici said the design sector currently employed 1,200 people in 600 enterprises. 40 per cent of those, however, work freelance or in micro-companies, highlighting the need for support and dedicated spaces. He said the project would create potential for export and innovation, and new opportunities for artists, designers and other creative professionals, especially young people.